The Maharajah Collection is a reinterpretation of the delicate embroideries & impressive jewels of India. A collection of fuchsias created especially by International Creative Director, Linda Cantello featuring at its heart a new Giorgio Armani Signature Shade: MaharajahThe New Armani Fuchsia. 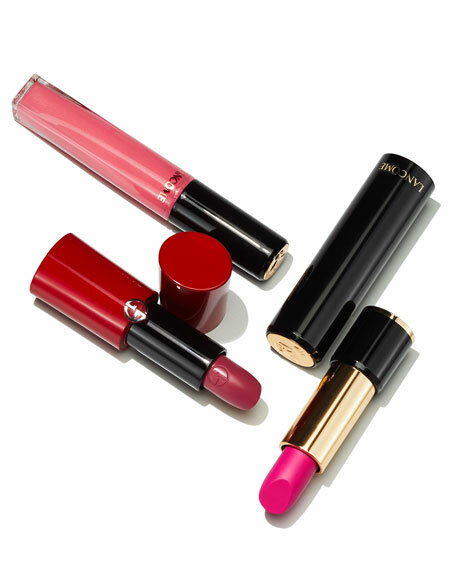 Each shade range represents a different universe of fuchsia, each with its own elegance: Maharajah the classic fuchsia, to the bright raspberry of Pink Blush and the deep plum of Garconne Fatale. For in-store inquiries, use sku #257240.